Click on the double arrows to see all the images. 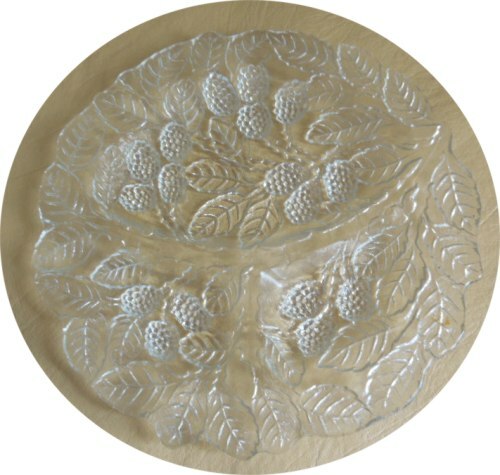 The crystal clear depression glass plate featuring berries and leaves is the Loganberry pattern from the depression era. The grill plate has one large section and two smaller sections. Indiana Glass Company produced this pattern in crystal from 1923 to 1933. These are beautiful and would be a great addition to use for a small or intimate luncheon.